One of the water features that form part of the new Kings Beach development is a stream that flows from the new fountain down to the shallow lake. 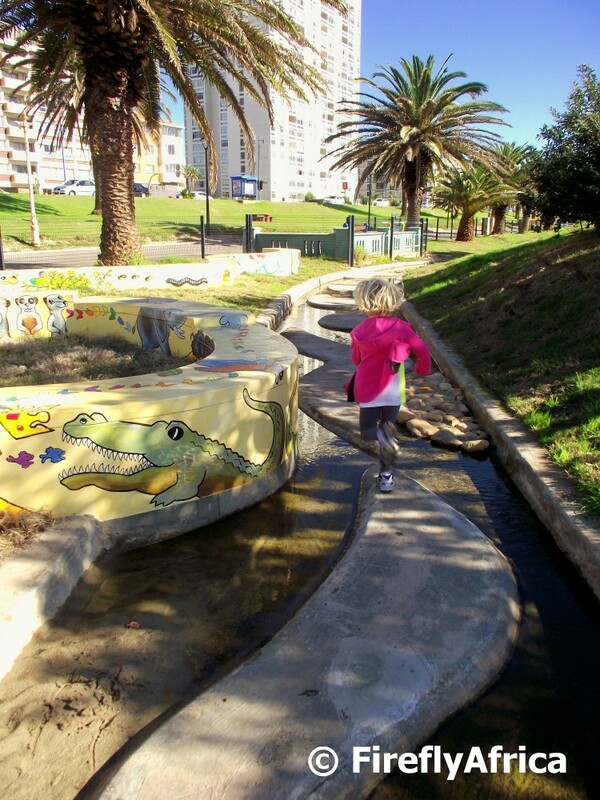 One of the things I like about it is that there are cement strips as well as rock features along the stream which means that kids can follow it from start to end. The first phase of the Kings Beach redevelopment has been completed for a little while now but I haven't had an opportunity to check it out until today. Wow! It’s looking very good and with work starting on phase 2 and the vegetation from phase 1 starting to establish itself I'm sure it’s going to be stunning by the end of the year when the next summer season starts. The centre piece of the development is a shallow lake water feature. Water flows from a fountain area (in the picture) down a stream and then into the lake. 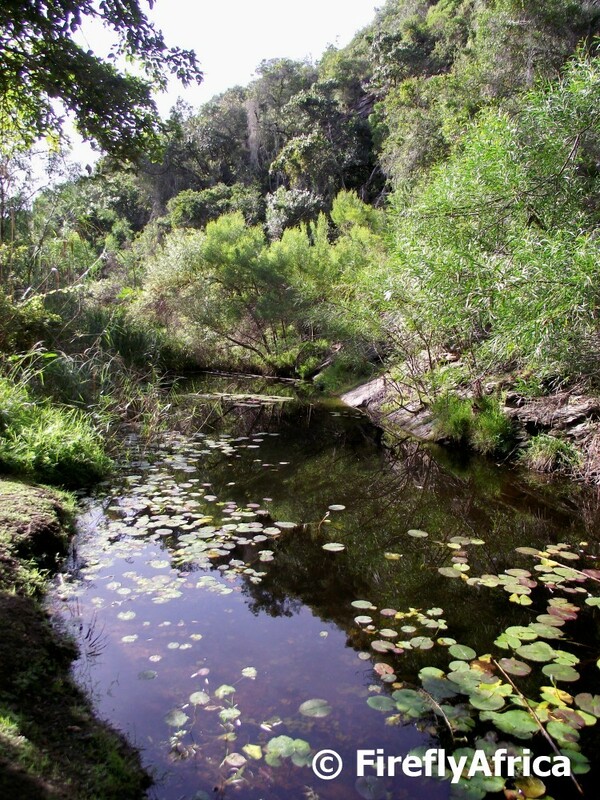 Very few people realise how beautiful it really is along the rivers and streams around Port Elizabeth. The Baakens Valley is truly stunning and so is the Maitland River Valley. I found this lily pond upstream in the Maitland River. 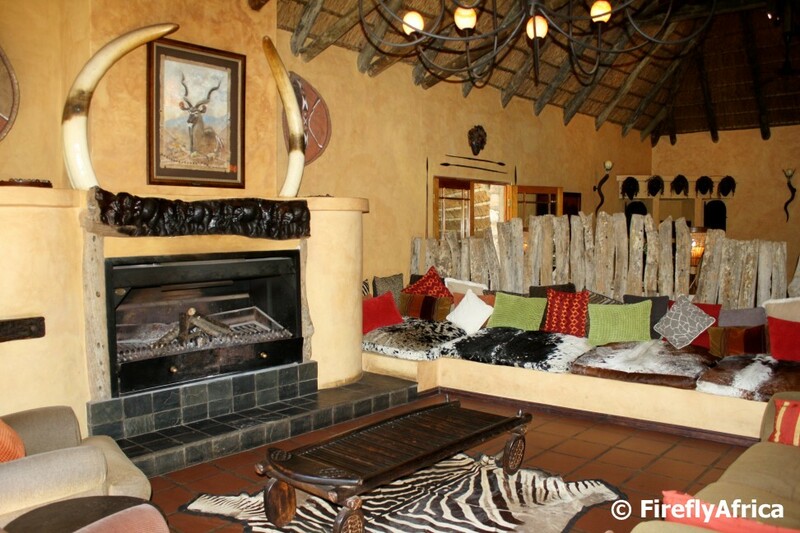 Port Elizabeth is surrounded by a host of private game reserves, most of them with upmarket luxury lodges. The interesting bit is that each one of them look different and visiting them I always look forward to what the lodge looks like if I haven't been to one before. That was no different visiting Mark's Camp at Lalibela Game Reserve where they have a great big fireplace and a strong animal, wood and earth theme. I've been wanting to see the soldiers from the Prince Alfred Guard either hoist or lower the giant flag on the Donkin Reserve for a while now but just haven't had a chance to do so. Big was my excitement when I was standing on top of the Donkin lighthouse with a media crew the other day when the soldiers arrived to lower it. Yay! If you look carefully at the base of the flagpole you will see six soldiers standing there waiting to catch the flag and put it away as it may not touch the ground. 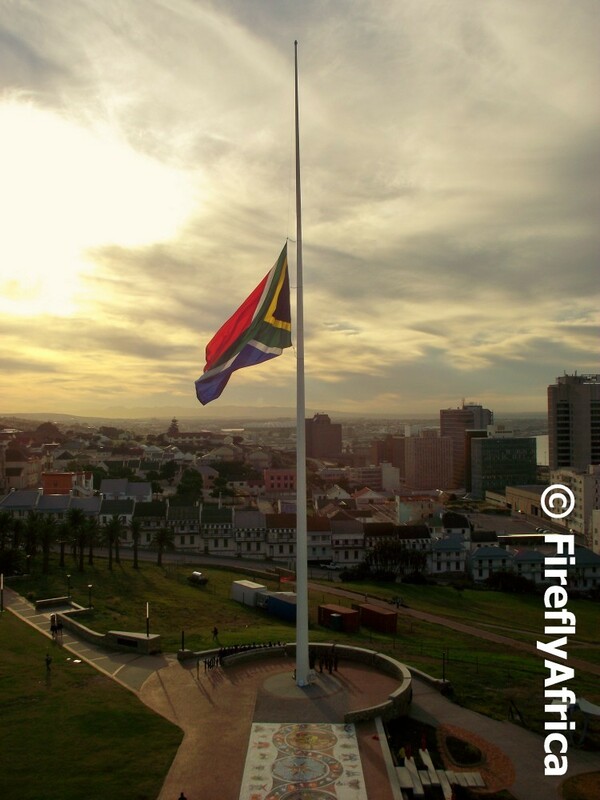 I posted the same pic in HDR on the FireflyAfrica Facebook page. This past Sunday the inaugural Donkin Downhill Dash took place at the Donkin Reserve here in Port Elizabeth. 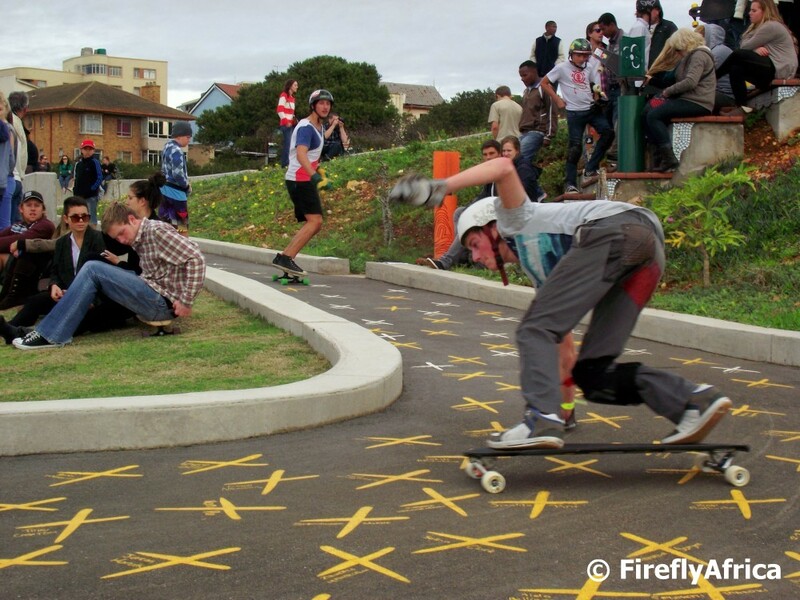 Since the upgrade at the Donkin Reserve local skateboarders have discovered that the new winding path from the lighthouse down towards Chapel Street is the ideal skateboard run. The n_mb city project approached the Mandela Bay Development Agency who was responsible for the upgrade to support a downhill skateboard competition and they agreed. The rest, as they say, is history. 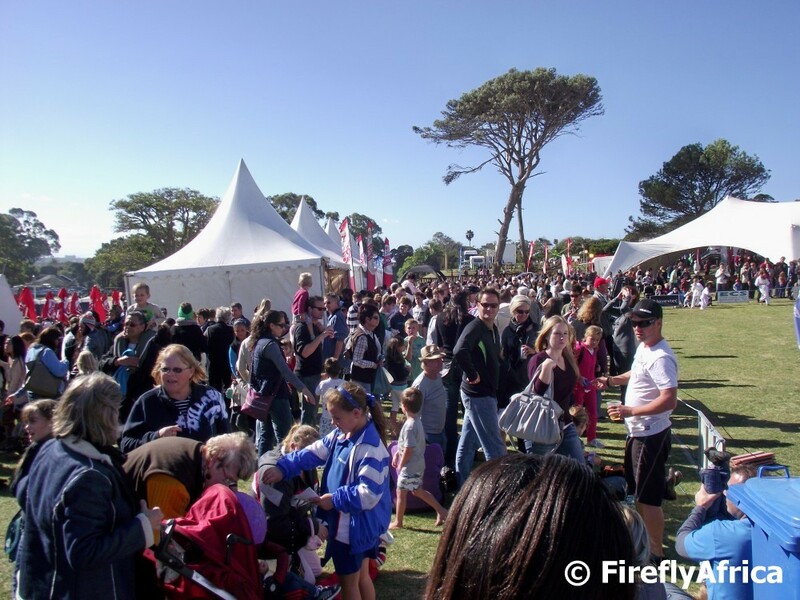 I posted a couple more pictures on The Firefly Photo Files. Looking at this scene of the inside of Fort Frederick today its hard to believe that back after it was competed in 1799 the fort was base to a full army garrison manning it. Oh how one would love to travel back in time to see it first hand. 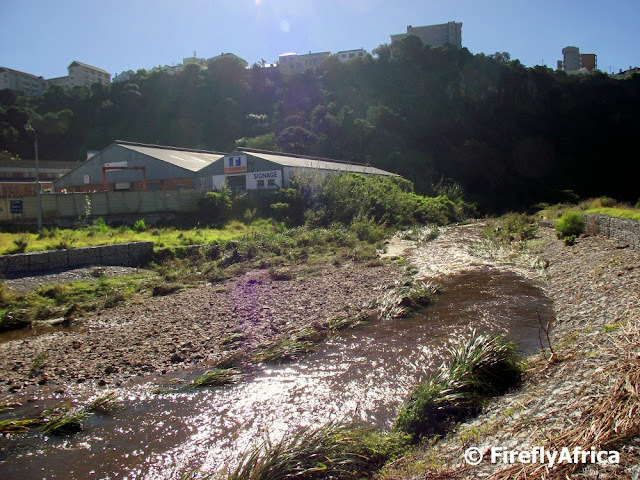 Over the last couple of weeks Port Elizabeth has had a lot of rain and the Baakens River is running nice and strong. I had to meet somebody at the Bridge Street Brewmasters and snapped this pic of the river which is normally nothing more than a narrow stream over here. Most of the time I post pictures of historic buildings or beaches so I decided to post of pic of a Black Legged Golden Orb Web Spider today. 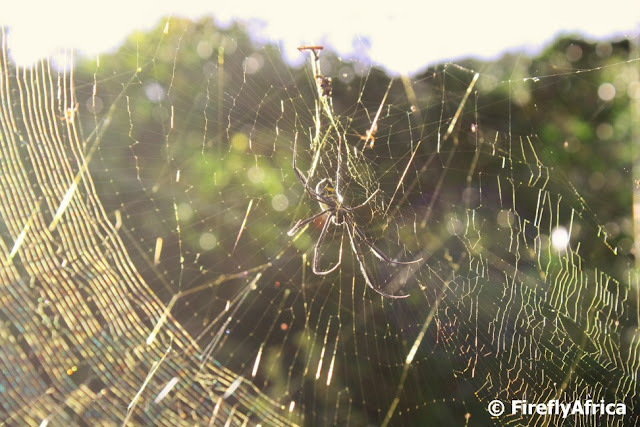 The reason for the name is the gold coloured thread they spin their webs with. Taken with a bit of back lighting you can actually see the golden thread in this pic. The picture was taken to the west of Port Elizabeth in the Maitland area. Completed in 1825, No 7 Castle Hill is one of the oldest surviving Settler cottages in Port Elizabeth. 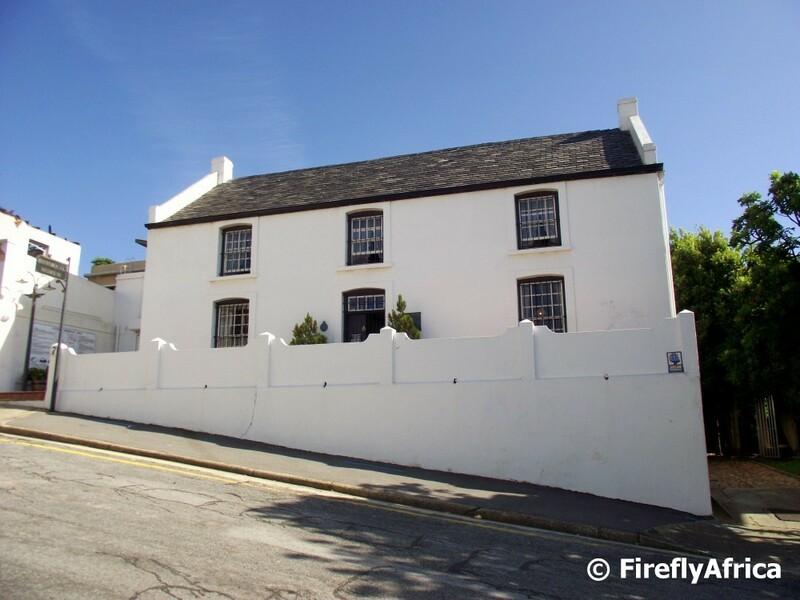 It was opened as a historical museum in 1965 and is furnished to show a picture of domestic life as enjoyed by an English middle class family in mid-19th Century Port Elizabeth. Its the kind of museum that both young and old enjoy with young ones exploring and discovering things they may have never known and the older crowd seeing thing that they may remember from their grandmothers' houses. 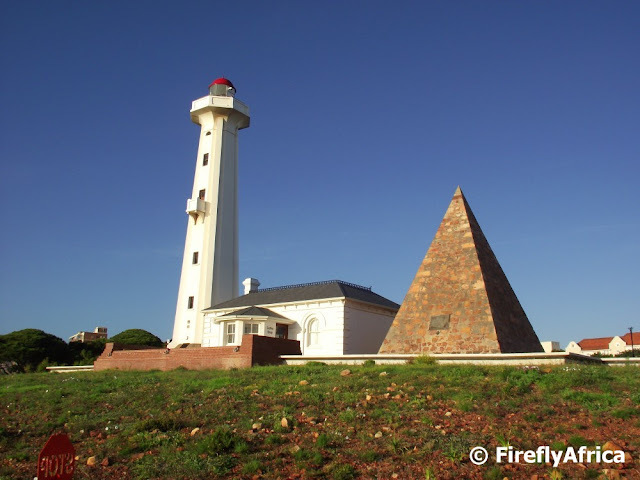 I often post pictures taken around the Donkin Reserve but I realised that I haven't taken one looking slightly up the hill with both the lighthouse and the pyramid in it for a while. 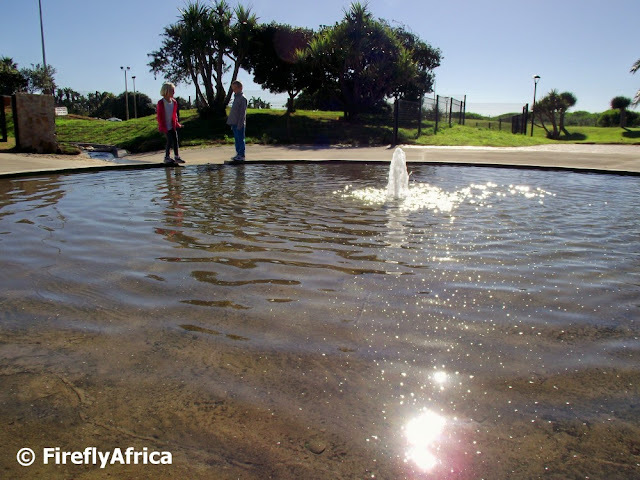 The Donkin Reserve is truly one of the most iconic sites (and sights) in Port Elizabeth and has recently been names one of Nelson Mandela Bay's Top 10 tourism icons. The pyramid was built as a monument to Lady Elizabeth Donkin (after whom the city was named) by her husband Sir Rufane Donkin in 1820 while he was acting governor of the Cape Colony. The lighthouse was originally built in 1861 and offers fantastic views of the surrounding area and the city from the top. The old lighthouse keeper's cottage are used as a visitor information centre by Nelson Mandela Bay Tourism as well as a coffee shop. 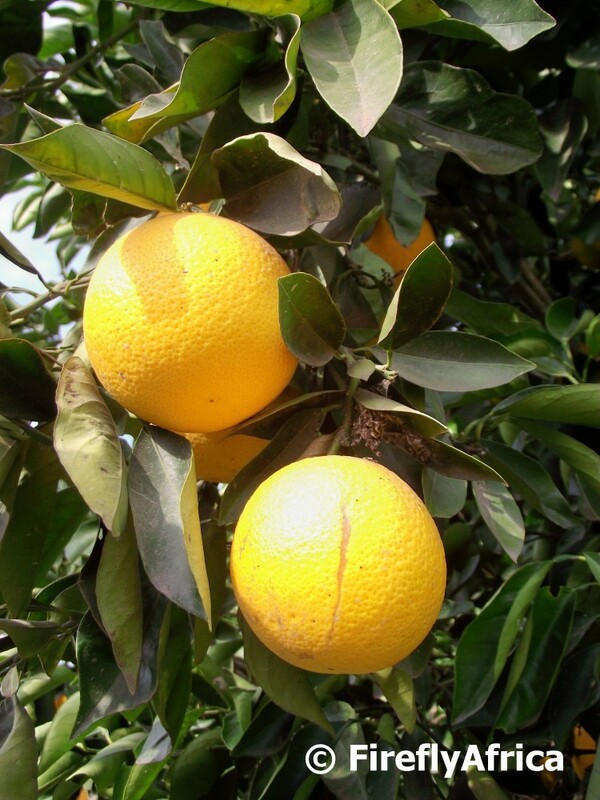 Port Elizabeth has two of South Africa's premier export citrus growing areas both within a hour's drive from the city. The Sundays River Valley to the north around the towns of Addo and Kirkwood and the Gamtoos Valley to the west. Over the weekend we visited the Citrus Festival in the town of Patensie in the Gamtoos Valley and all along the road one can see the citrus, specially oranges, hanging on the trees. On Saturday morning I loaded the family into the car and headed out to the Gamtoos Valley west of Port Elizabeth for the annual Patensie Citrus Festival. There were a couple of reasons for our little outing the first and foremost being the fact that I loaded a boot full of fresh fruit and vegetables for a fraction of what I would have paid for it in a supermarket in the city. Plus it was absolutely farm fresh. 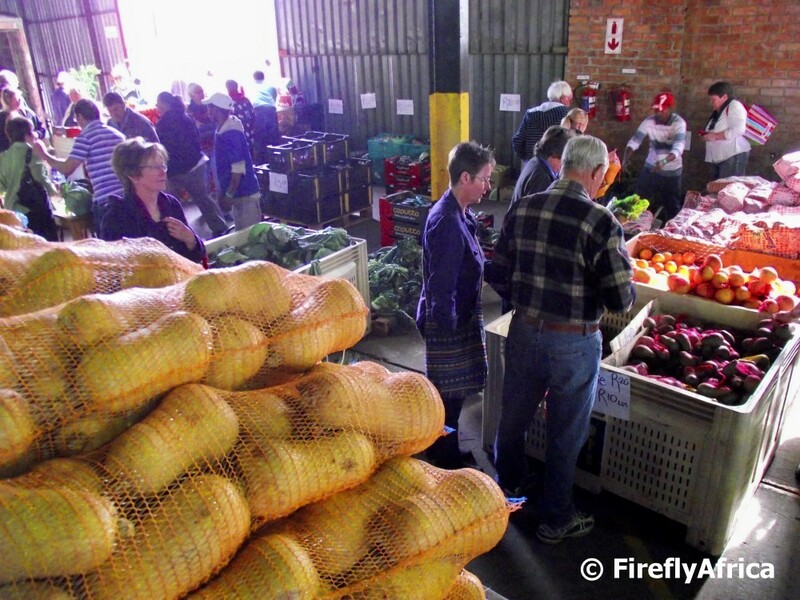 The Gamtoos Valley isn't called the fresh produce basket of the Eastern Cape for nothing with citrus and potatoes along with a host of other fruit and vegetables being grown here. But it wasn't all about the produce, it was also about the farming atmosphere, good food, entertainment and other activities on offer. 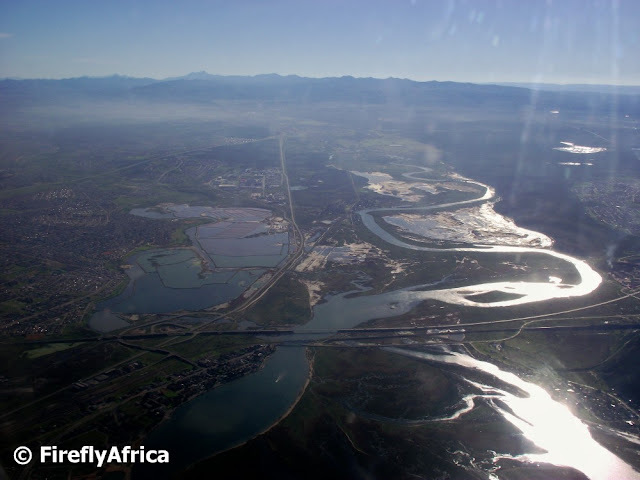 Port Elizabeth may be the 5th largest city in South Africa, but the Nelson Mandela Bay metropolitan area of which Port Elizabeth is part of is the second largest metropolitan in area size. 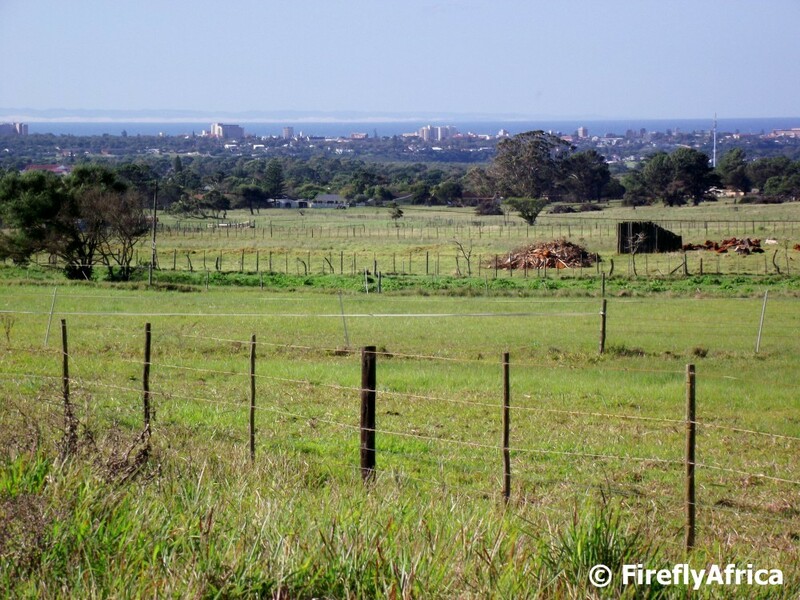 This means that the city has huge areas taken up by farms and small holdings. 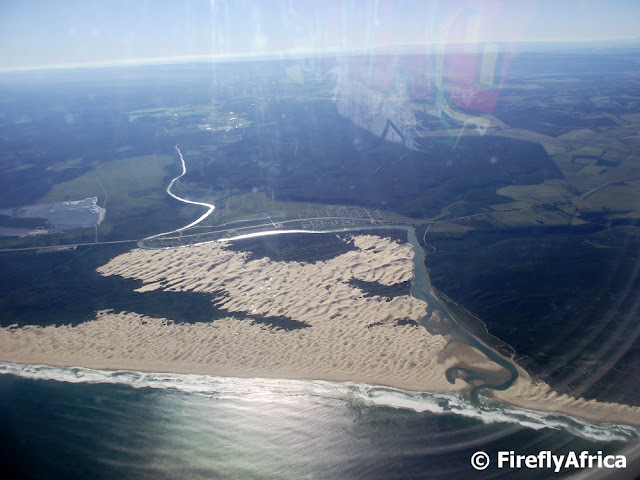 These are areas like Greenbushes, Rocklands, Theesecombe, Bushy Park and Sardinia Bay. The picture was take from the top of Heatherbank Road between Lovemore Heights, Charlo and Lorraine. The last of the pictures I snapped returning to Port Elizabeth recently was of the Coega Industrial Development Zone. 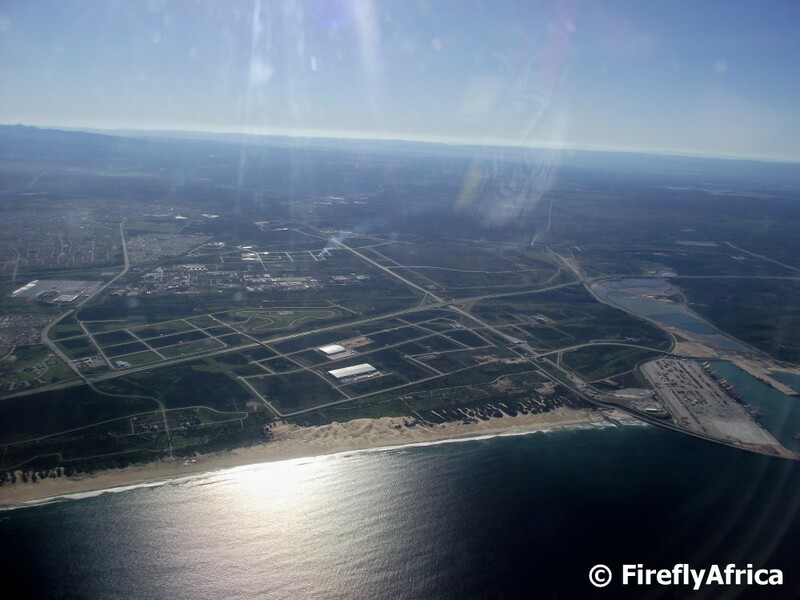 The Coega Harbour is visible on the right and Motherwell on the left. Last weekend I posted aerial pictures of the Colchester dune fields and the Swartkops River area taken on my flight home from Indaba in Durban recently. 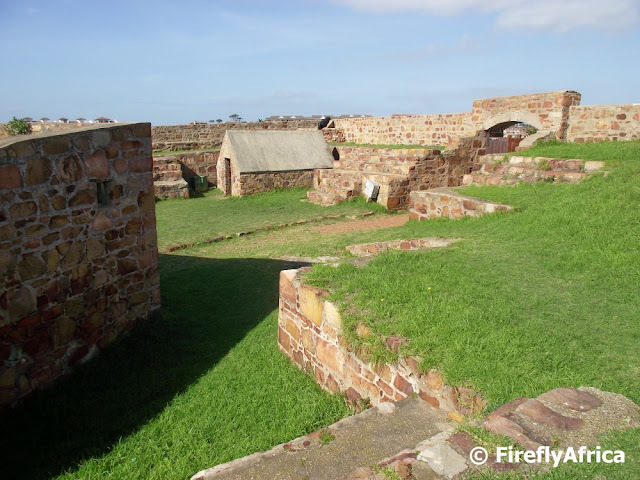 I've got two more pictures I took approaching Port Elizabeth which I would like to show. Today's one is the Coega deep water port. 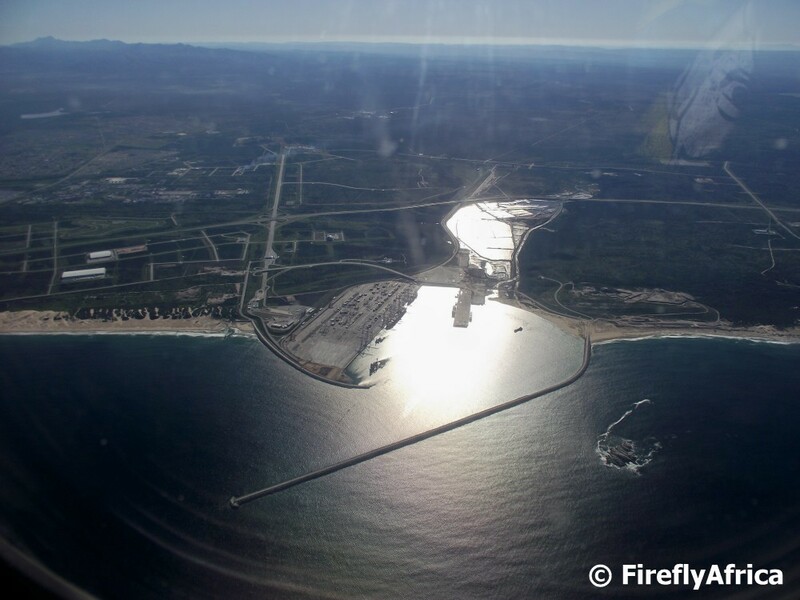 With the completion of the Coega Harbour Port Elizabeth became the first city in South Africa to have to commercial posts. In the 1870's the city fathers of Port Elizabeth could not postpone the erection of a market building, especially for the sale of ostrich feathers and produce, anymore. A building was commissioned in 1878 when a competition was run for the best design for the building. While the roof was being built in England the council realised that the cost of the building was going to be a lot more than initially thought and the plans were scrapped. However there was the matter of the roof and a new architect was appointed to design a building that would fit the budget... and the roof, which by now had left England on board a ship already. 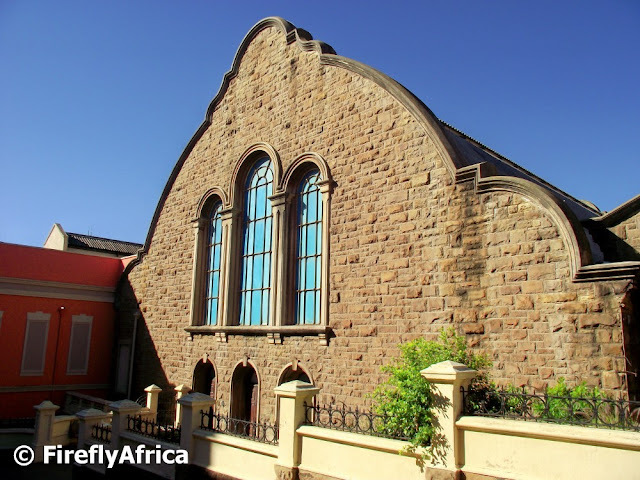 The Feather Market Hall was completed in 1885 and was officially opened in December of that year with the opening of the South African exhibition which lasted a month and was visited by 60 000 people. 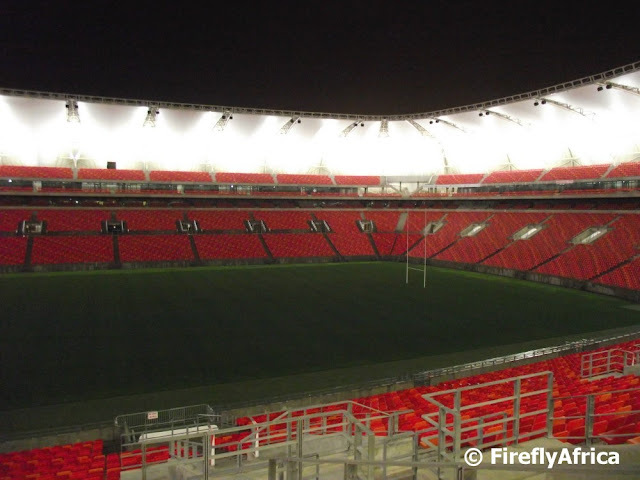 Attending The Wine Show at the Nelson Mandela Bay Stadium I had the opportunity to peek inside the stadium at the field without the flood lights being on. Calm before the Springboks take on England in a rugby test on 23 June. Port Elizabeth is fortunate to be surrounded by some of the best game reserves in South Africa and if I had a choice between a bush or a beach holiday I would probably choose the bush holiday 8 out of 10 times. If only I could afford it, but that's another story. 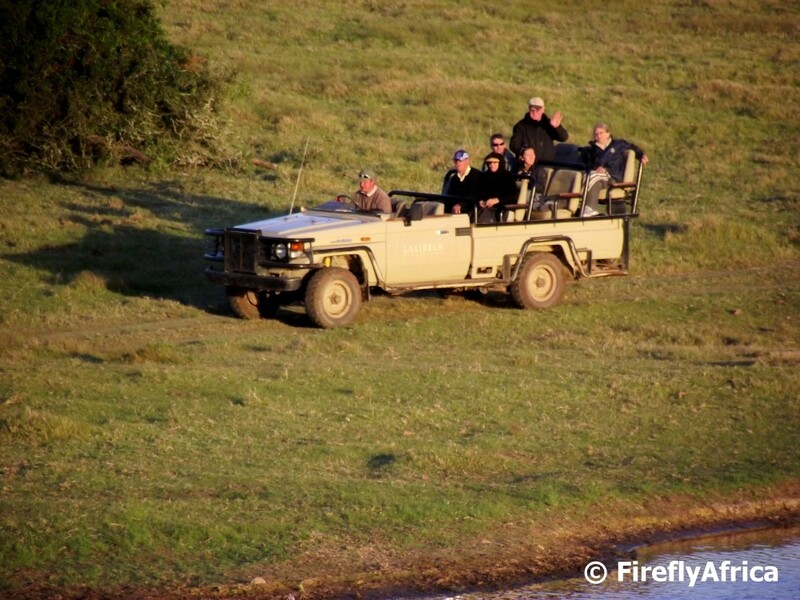 The picture was taken at Lalibela Game Reserve about an hour outside Port Elizabeth during a morning game drive as one of the other game viewing vehicles was approaching a waterhole to have a look at a couple of hippo. This past weekend the Nelson Mandela Bay leg of the annual The Wine Show took place at the Nelson Mandela Bay Stadium. The city really needs more shows like this and looking at the popularity people are hungry (or in this case perhaps thirsty) for them. 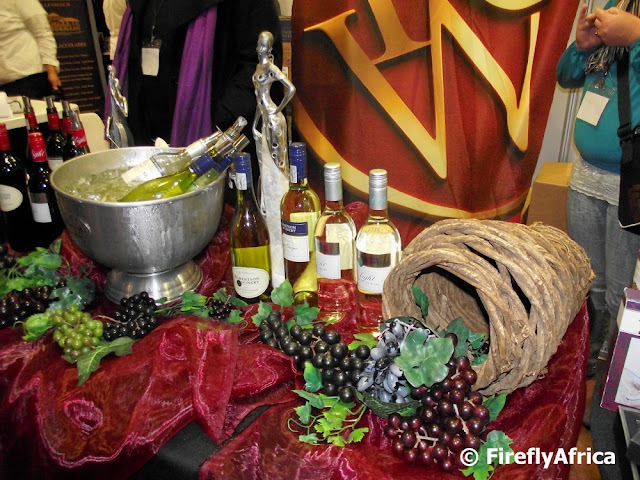 Most of the exhibitors were boutique cellars and visitors to the show got the opportunity to taste and get to know a lot of wines which they perhaps have never heard of before. The view from the top of the Donkin Lighthouse is truly magnificent doesn't matter which way you look. This is looking south at the beachfront. Click on the picture to see the original size. Returning to Port Elizabeth on the same flight I snapped yesterday's Colchester dunefield on, I got this picture of the Sundays River estuary as one looks up towards Uitenhage from Algoa Bay. Enjoying the view from the top of the Donkin Lighthouse with the Top Billing crew the other day, the sound guy pointed out one of the houses visible from the lighthouse. 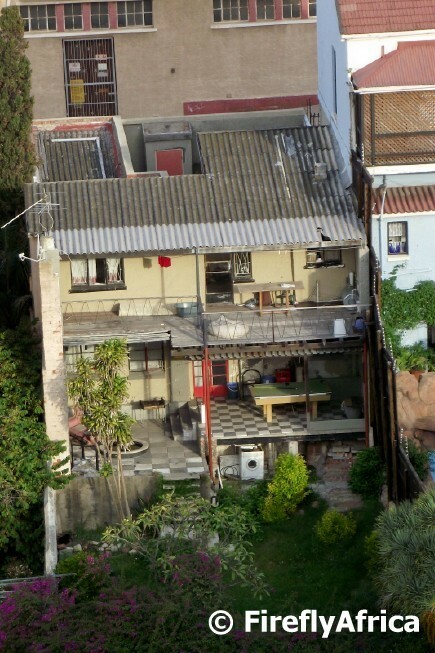 The back of the house with its big open balconies make it look like a real life doll house. Its not every day that I get to meet celebs and when I do I don't get all gaga and star struck (well maybe a little but I hide it very well). I've never been one for autographs but I like to get a picture with said celebs if I feel that its appropriate to ask. 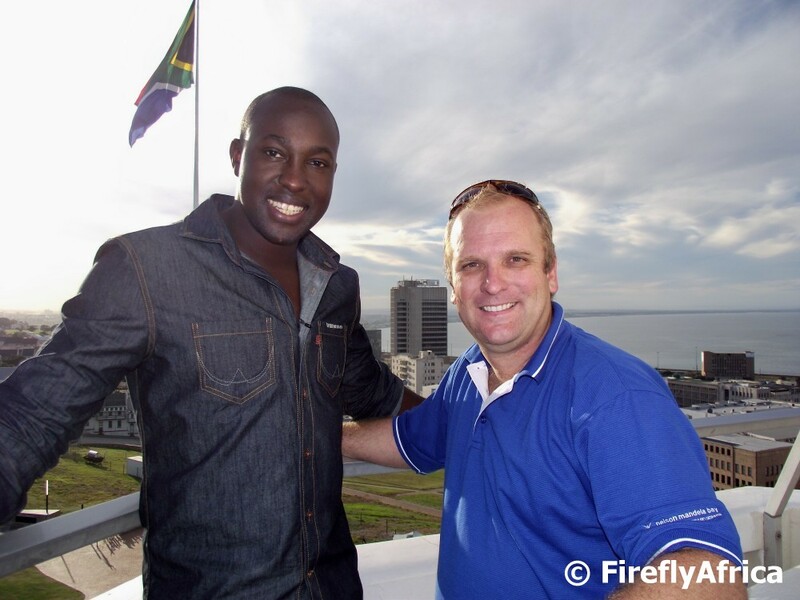 So here I am (I'm the one on the right just in case you don't know) with Top Billing presenter Simba Mhere on top of the Donkin Lighthouse during their presenter search shoot in Port Elizabeth. 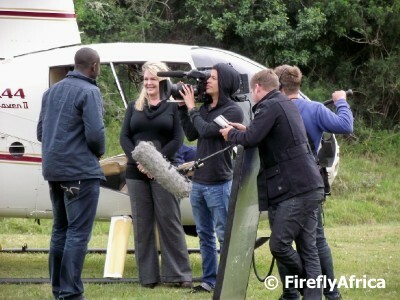 The crew from SABC 3 magazine program Top Billing was in town a week or so ago as part of the Top Billing Presenter Search competition. The competition is an "Idols" type competition held all over the country looking for a new presenter for the popular show. While they were in town I had the fortunate opportunity to take them around to a couple of places for them to film for the show. 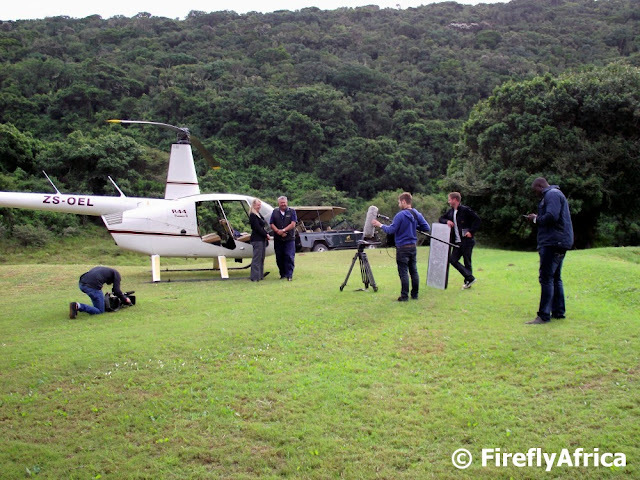 One of the places we visited was Royalston, an exclusive residential estate and private game reserve on the outskirts of Port Elizabeth, from where the crew was taken on a helicopter flip around the city. Here Bev Eke from Royalston, which includes the luxurious Lake de la Vie wedding venue, is telling Top Billing presenter Simba Mhere more about the area. Today's post is a case of better late than never. The reason for being late is the Mohair series I posted last week which started before I downloaded the pictures I took last weekend. Last Saturday (26 May) the annual Priory Fair took place at St Dominic's Priory. The Priory Fair is probably the most popular school "fete" in Port Elizabeth and I am just amazed at how many people support it. We were there early for the book sale and then took a slow walk around looking at all the stalls and exhibitors. Breakfast consisted of bacon and egg rolls and this were followed up a little bit later by caramel pancakes. The sweets table looked extra yum and I couldn't help but depart there with a syringe full of condense milk. I had chats at some of the stalls and exhibitors, like my friends at SAMREC, before taking Chaos Boy for a couple of rides at the fun fair. All in all an awesome day at the Priory Fair. At Hinterveld in Uitenhage exquisite mohair blanks and other products are created for both the local as well as the international market. Throughout the whole process I have shown this week the mohair is white, but it can be dyed at three different stages; after combing, after spinning or after weaving. Some of the blankets are specially produced for international agents and retailers with their own brand on it while others are produced under the Hinterveld name. All luxurious and timeless. The products are all available in the factory shop and looking at the prices I imagine you can pick them up for much much cheaper here than at those international boutiques. The machines that spin the mohair yarn at Mohair Spinners South Africa in Uitenhage are absolutely amazing. My mouth hung open when they showed us how clever the machines are. The moment the thread is broken the specific line would stop, unwind a bit and reattach the two end of the thread so well that you can barely see the place where it broke. All automatically and very futuristic looking. Rolls of yarn are available for purchase in the factory shop next door at Hinterveld at a fraction of what you would pay for them elsewhere. Mohair on its own is nothing but wool. Actually, people are wrong referring to it as wool. Its hair. So for the mohair to be used in anything it needs to be first spun into yarn. 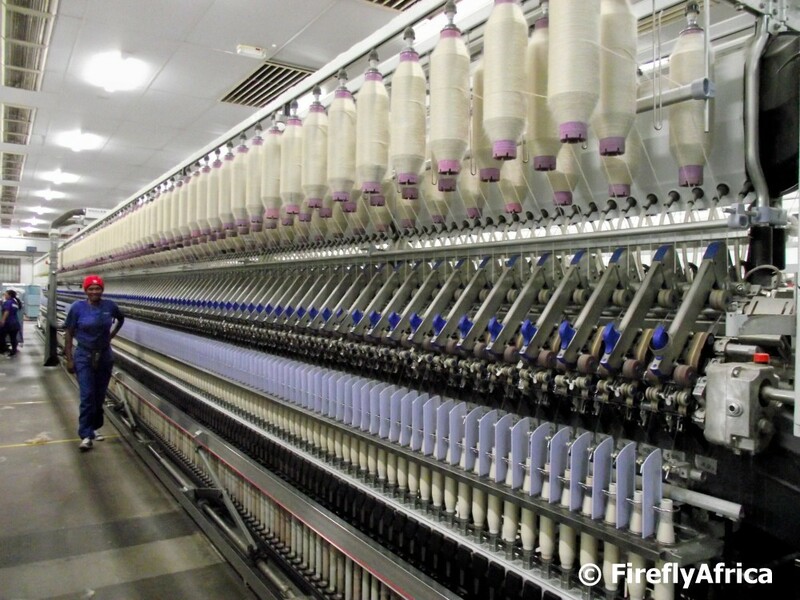 Mohair Spinners South Africa's plant is right next to the Gubb & Inggs plant in Uitenhage. In actual fact you walk from the one into the other. 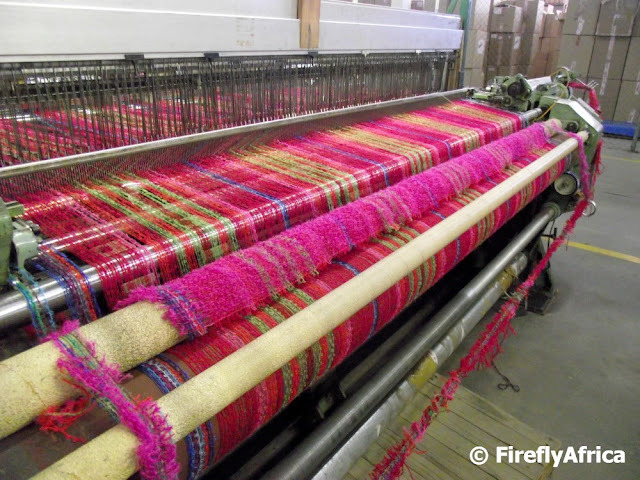 The mohair doesn't just become yarn by putting it through one machine. 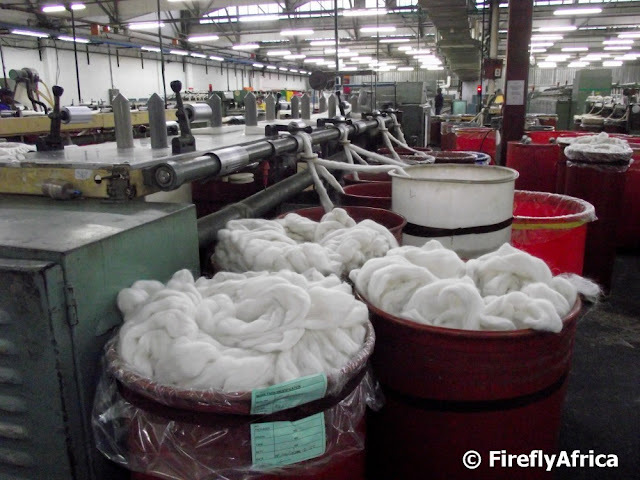 Its a whole process whereby the mohair gets "twisted and stretched" (at a lack of a better way of describing it) several times before becoming yarn.